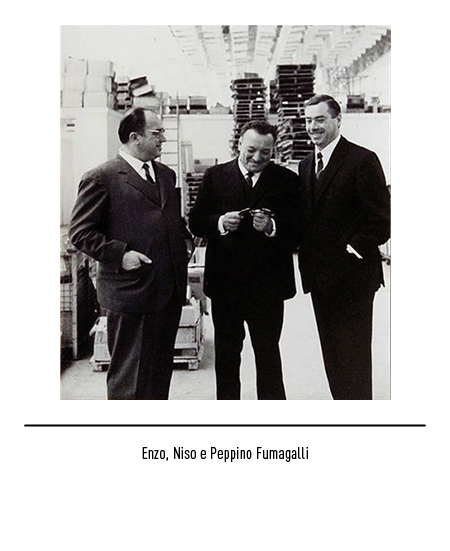 In 1945 the firm "Ofﬁcine Meccaniche Eden Fumagalli" at Monza near by Milan was already acclaimed with professionals for its high-precision tooling equipment instruments when it decided to manufacture washing-machines as well. 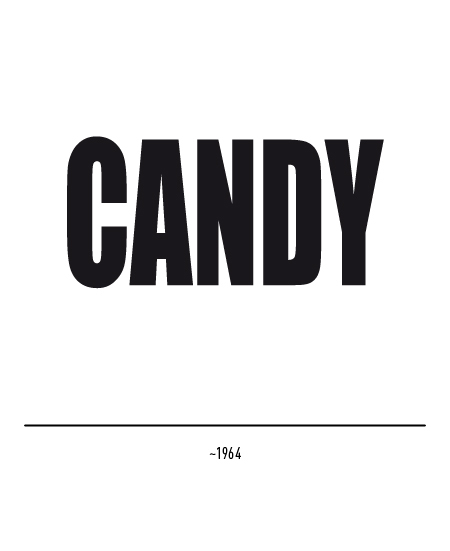 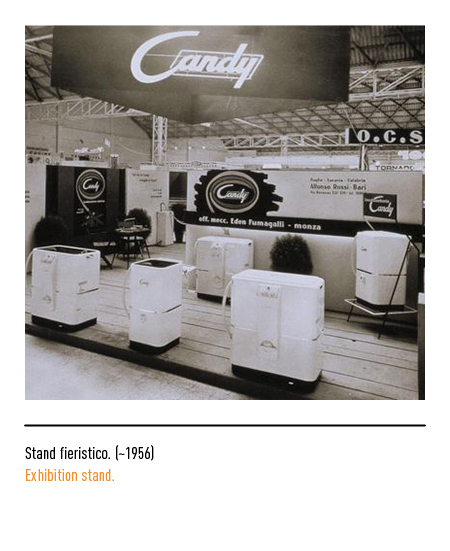 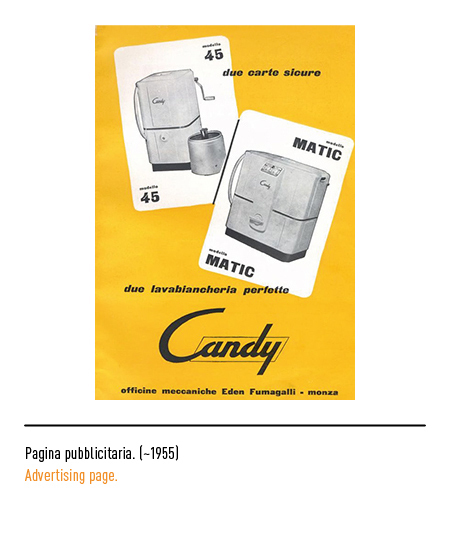 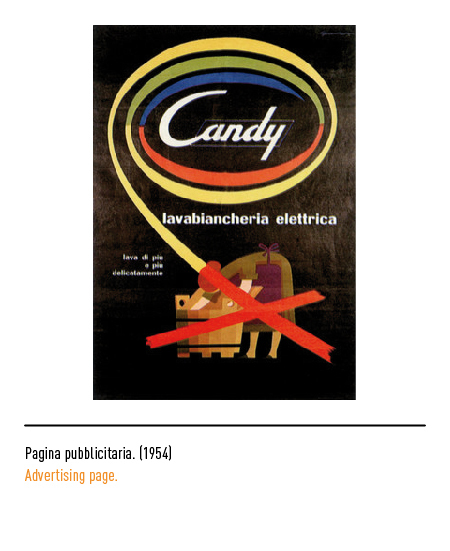 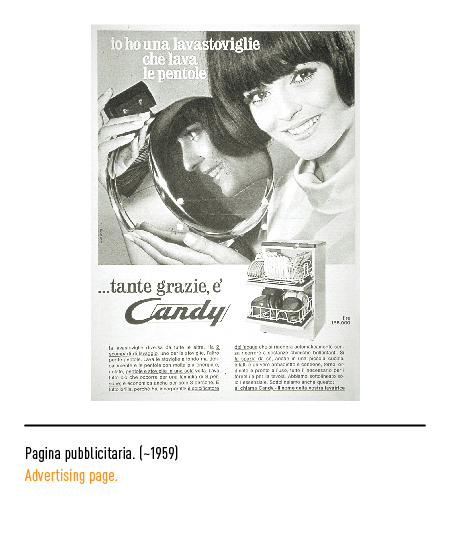 "Candy", as it was called in a sort of Anglicisation of the Italian word for "to bleach" ("candeggiare"), was the first of its kind to be manufactured in Italy. 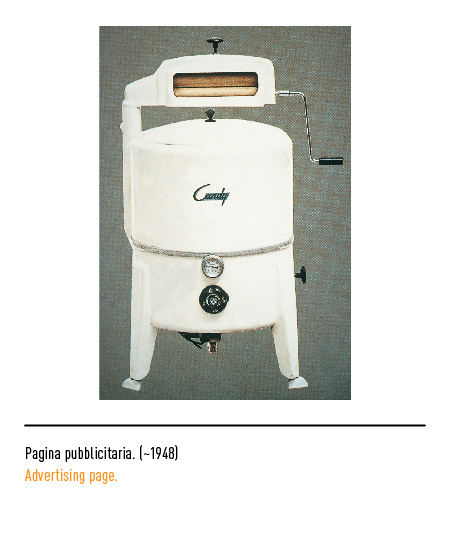 The firm was to become part of national industrial history when the sons of its founder decided to focus on the production of washing-machines that were to give it a new and vigorous impetus. 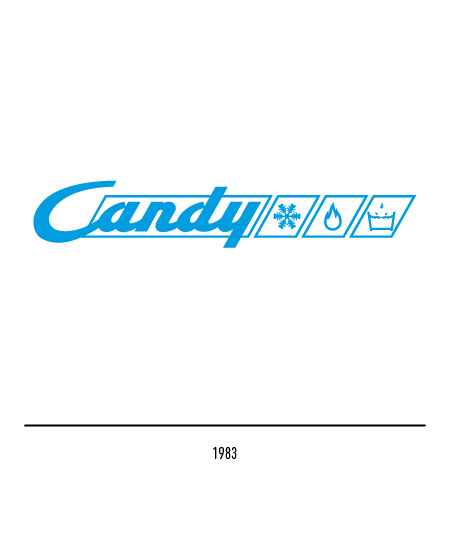 Several years later the washing-machine had become fully automatic and true to its original spirit Candy was as ever a symbol of innovation and progress. 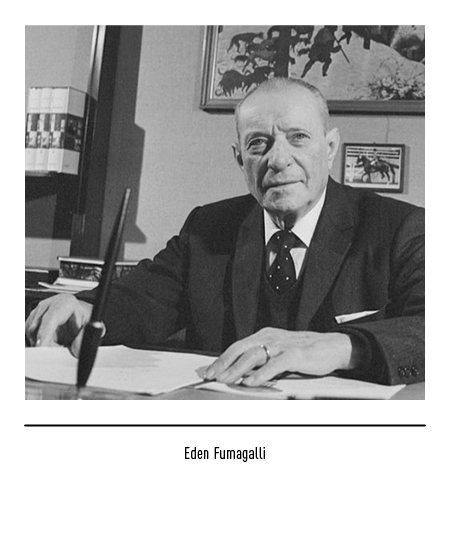 So much so, indeed, that with time it was to become a leader on markets worldwide. 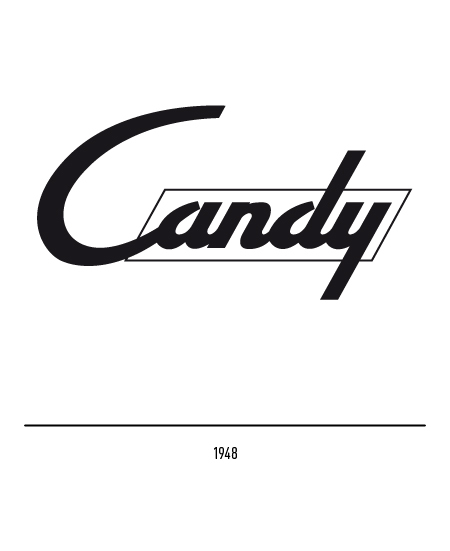 The first trade-mark was designed right from the start of activity in 1945. 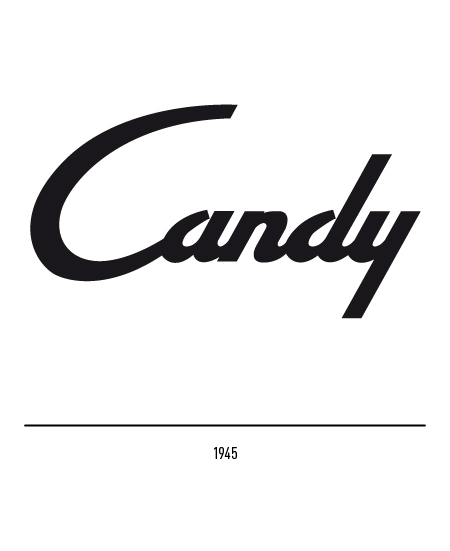 In 1948 and 1957 it underwent slight changes, but remained essentially the same till the mid-sixties when a new logotype with upper case lettering was brought in. 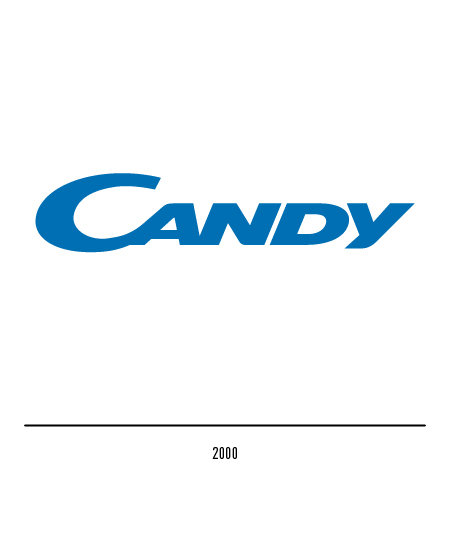 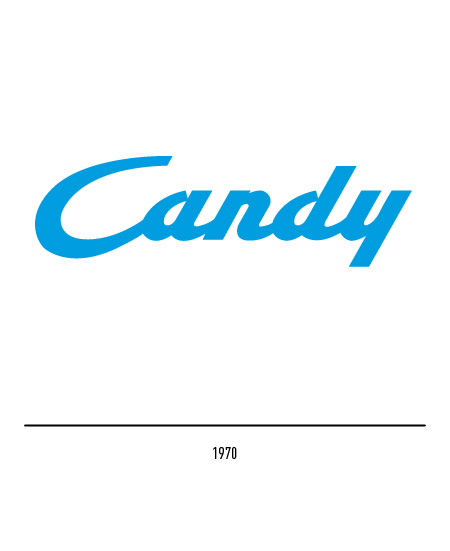 In 1970 is was decided to revert to the former logotype without, however, the rectangle. 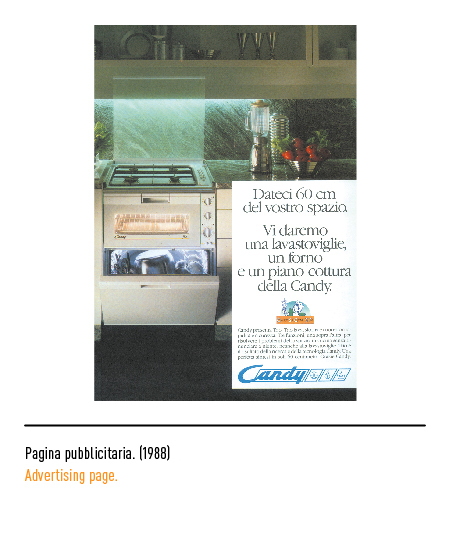 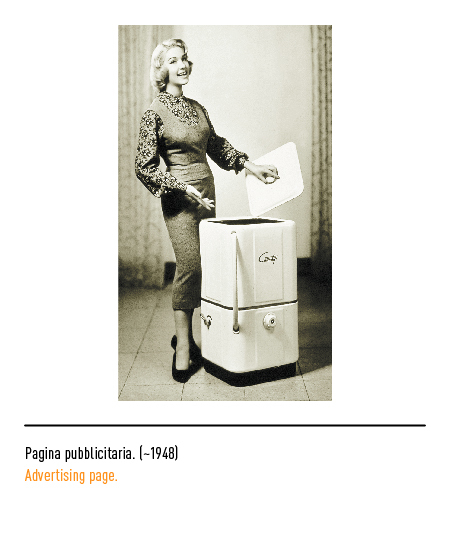 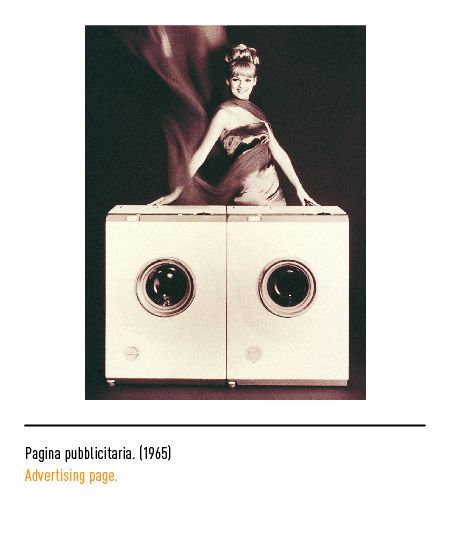 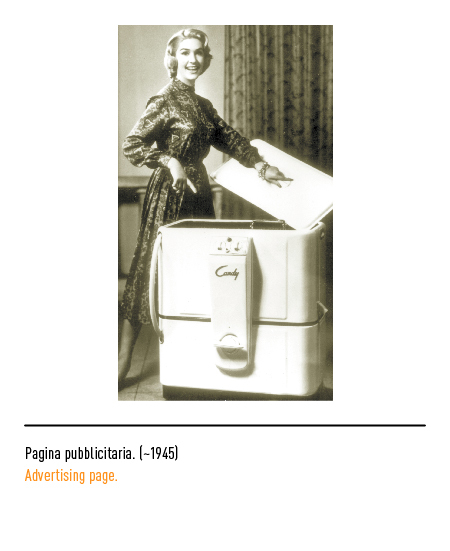 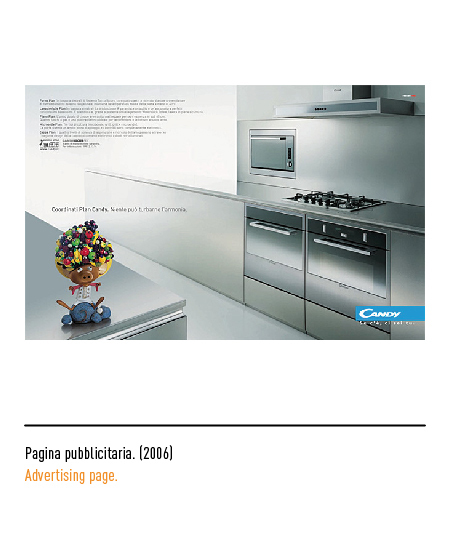 An up-date was called for in 1983 to better highlight the firms diversification, as in addition to washing-machines it was also producing refrigerators and kitchen-ranges. 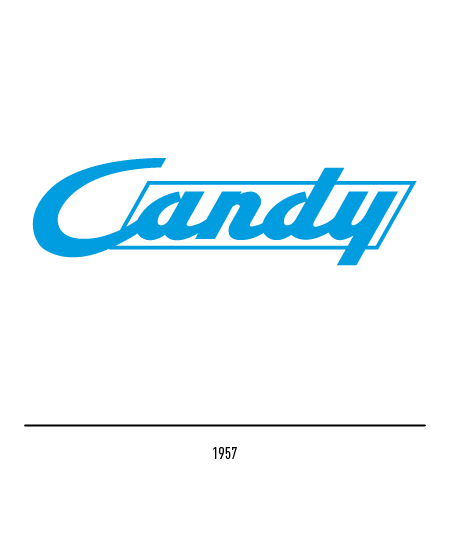 The 1957 logotype was revived for the occasion then a trade-mark sporting upper case lettering with the prominently typical eye-catching "C" was inaugurated in 2000. 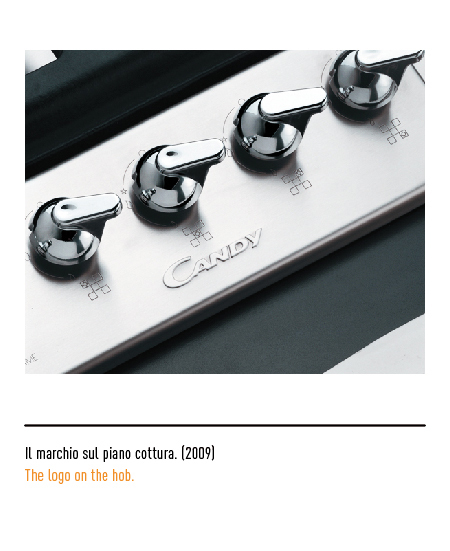 Designed by Maurizio Di Robilant, such trade-mark is a sign of innovation in line with the times.